We are excited to welcome you to KPU! Feel free to look through our list of programs and familiarize yourself with the details of the program by going to its overview page. Programs at KPU are categorized as either Open Intake or Limited Intake. For a complete explanation and list of programs in each category, click here. Prior to applying to KPU, you should familiarize yourself with the admission requirements for your program of choice. Some programs have a longer list of admission requirements than others. By using our University Calendar, you can access the overview page of your program and learn about its admission requirements. Please note that most programs at KPU have our English Proficiency requirements. If you do not meet the English proficiency requirements, you may be eligible to study in the KPU Pathway program. The Pathway program allows you to upgrade your English while taking select courses that fall under your desired credential. Once you English upgrading is complete, you will be eligible for entry into undergraduate studies. As KPU has experienced a surge in the number of applications in recent semesters, we encourage you to frequently check our admission deadlines, as they are subject to change. For general information regarding admissions for international students, program availabilities, and updates regarding registration, please visit our KPU International page. *Deadline to pay confirmation deposit and accept the offer of admission. Any offers not accepted by the deadline will expire and be rescinded. Note: Selected Limited intakes may extend the application deadline if space permits. Apply online and pay the $120 application fee to complete the online application. KPU accepts one application for admission per semester for each student. Once you complete your application online, we will send you an Acknowledgement Letter within 1 to 2 business days containing your Application date and KPU Student ID Number. Additionally, in 3 to 5 business days, we will email you a Next Steps Letter with instructions on how to access your Online Self Service (OSS, KPU's online student portal) and your personal KPU email account where we will send you information about how to complete the admission process. In your Next Steps Letter, we will explain how you can use our Admissions Checklist in your Online Self Service portal. The Checklist will display the most updated information regarding your admission status. It is important that you frequently check it for important messages. Once you have submitted an application to your program of choice and have learned how to access and use your Admissions Checklist, you will need to submit your transcripts and other additional documents required for admission. For detailed information regarding how to submit your transcript(s), please refer to our Transcript Submission Guidelines. Most programs require transcripts from your high school or secondary institution. You must also submit proof of English proficiency in order to satisfy your program's English requirement (e.g. IELTS Test Report Form, TOEFL results, PTE results, University Transcript, etc). Testing results such as IELTS, TOEFL, and PTE can be scanned and sent by email to international@ cá cược bóng đá hợp pháp www.tullosrvpark.com (PTE results have to be reported to the person that the student would like KPU to be able to access your results). The deadline to submit your updated results from a new official English test taken will always be by the 15th before classes commence. For other ways of meeting the English Proficiency requirement, please refer to the online Academic Calendar. Once we have received all required documents, assessed your eligibility for your program, and confirmed your seat, we will send you an offer of admission. Included in this offer will be a request to pay a non-refundable confirmation deposit* of $1000CAD for open registration programs or $1500CAD for limited registration programs. Additionally, attached to the same email will be a budget sheet and a methods of payment sheet. *The confirmation deposit may be transferable to another semester if the admitted student is eligible for a deferral. After the student is admitted to their program, the student is able to defer their application and confirmation deposit for up to one year from the original starting semester. Refunds of the confirmation deposit are only available in the event of a Visa Denial by IRCC (the student will need to email international.refunds@ cá cược bóng đá hợp pháp www.tullosrvpark.com with a copy of the refusal letter from the government office). Accept your Offer of Admission by submitting the confirmation deposit payment. You can make payment online through your Online Self Service (OSS) account. There are various Methods of Payment that you can use to submit your payment to KPU. Once you have received your acceptance letter and immigration package from KPU, you will need to apply for your study permit immediately. It is your responsibility to ensure that you apply with sufficient time to obtain a study permit. Please refer to the Citizenship and Immigration Canada (CIC) website for processing times and a list of required documents needed to apply for your study permit. KPU International and iCent have developed an app that is dedicated to serving incoming international students. It assists students in acclimatizing to life studying overseas, helps them navigate their new environments, and guides students through the process of coming to Canada and KPU. Pre-departure Checklist: Things you need to prepare and do before leaving your home country. Arrival Checklist: Things you need to prepare and do for arrival in Canada. 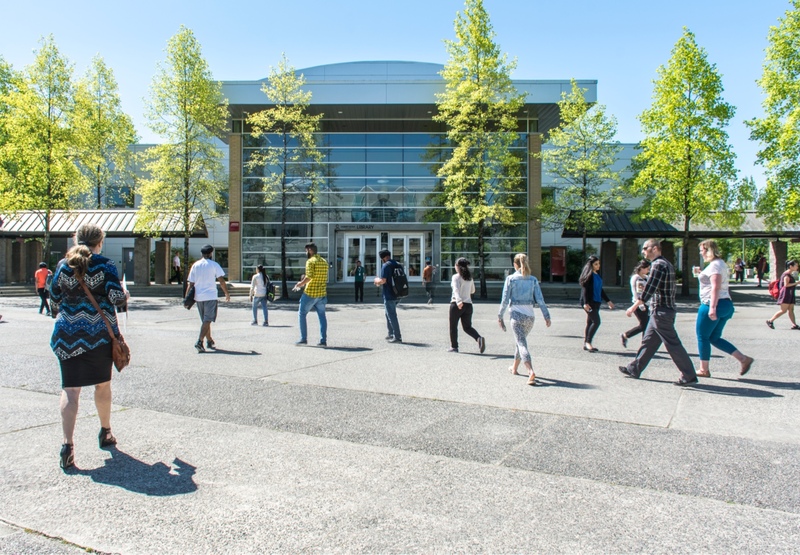 Campus Services and Locations: Where KPU campuses are located, how to travel between them, and what each campus has to offer. Frequently Asked Questions: Answers to questions commonly asked by international students. Topics include how to register for classes, study and work permits, scholarships, medical insurance, and much more. The KPU International iCent App is free and available for download on the cá cược bóng đá hợp pháp Apple App Store and the Google Play Store. If you don't have access to either store, please click here to directly download the apk file. After the admission process is complete, the student will receive an email informing them of their registration date and time. Starting from that date and time assigned, the student will be able to register at any time until the add/drop deadline. It is critical that the student registers for classes on their registration date and time in order to avoid being waitlisted. Classes fill up quickly! Make sure to always be aware of our dates and deadlines. Please note that it is the student's responsibility to register for classes as well as drop their classes in case they are unable to attend classes in the semester to which they were admitted. The process of registration and creating your class schedule is done completely online on your Online Self Service account. We have created an online video tutorial in addition to online resources that will guide you through the registration process. 12. Pay Your Tuition Fees! For more information on methods of payment, please click here. Please remember that it is the student's responsibility to be aware of the fee payment deadline, the last day in which the student can pay their tuition without being charged the late penalties fee. Each student's successful transition to life at KPU starts with a mandatory, informative and fun-filled event called New Student Orientation. Current KPU students will introduce new students to the campus, answer questions, and help with preparations for the first day of class. New students are asked to bring their student number, photo identification and study permit in order to get their KPU student ID card and learn more about the benefits that are available to you as a KPU student.